I like to be as transparent as possible with my readers. While I do keep things private a share a lot of other things in my life. With that being said, today I want to talk about some health issues. We all have a health issue or two. Some of you that have been around a while know I’ve had ankle issues for a while. My doctor said I walk on the side of my feet and that was causing majority of the problem. Sure, I can assume a number of people have that issue. However, combined with 15+ work days on my feet didn’t help matters. I had a very great doctor that helped with that and was able to avoid surgery. To be perfectly honest, I think my ankle injury stemmed from when I was in 5th grade. I was down in Hayneville, AL and it was homecoming. I pushed by a girl that was trying to get a now later. Yes, one piece of candy. The result was the float, both tires, ran over my ankle. From then on for some reason, that’s the ankle I always injured. Even now, I’m extra careful. Needless to say, I was coping with the ankle very well. Guess what happens next. I started having knee pains. I believe it was a slow progression. It got to the point where I was was taking 800mg motrin to stave off the pain before work. Then came the day it wouldn’t loosen up and I couldn’t walk far without holding on to something. That brings me to where I am today. Where is that? Laying in bed, walking with a crutch, soon a cane. What the doctor found in my knee is a torn cartilage and some arthritis. I’ve never been one to shy away from surgery or even brag about it. 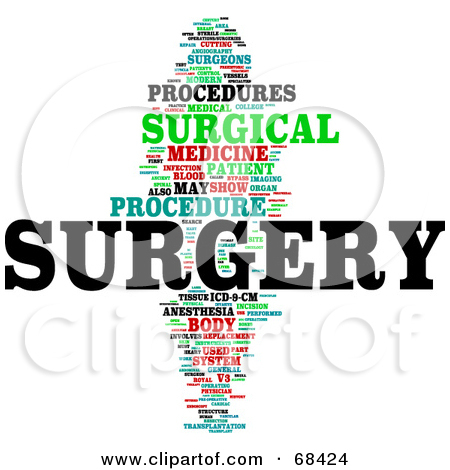 I know that not every surgery is easy. I also know surgery isn’t for everyone. This month has taught me so much about not just myself, but others as all. As I prepared for my surgery I begin a weight loss push. I don’t knock what everyone is doing, but what worked for me was appetite suppressant. I lost 7 lbs in 3 weeks! More that all the other diets and exercise forms. Yea I’m a big girl, but I’m okay with that. I’m working on those things that need to be changed. All in all progress is progress. Surgery is huge for anyone. One thing someone told me was that anytime you’re having surgery it’s a big deal. As nonchalant as I portrayed to be, I was, am, glad for the unrelentness support. I say all this to say, support those around you. Yes, I have family and close friends, but everyone is not so fortunate. Some get nervous and down right scared. So while some breeze through with no problems, others are not so fortunate. Keep your ears open, don’t just hear, but listen. Encourage and be a support for them.